I know most of us saw the NBA Draft on Thursday night. At the very least, you know that Lonnie Walker IV was the 18th draft pick. Perhaps you heard some of his quotes in which he praised the organization and stated that he was ready to do whatever is takes next season. R. C. Buford shared his excitement about the next Spur, but have you yet fully embraced the athleticism this young man brings? You like the 3-point shooting? Walker was hitting them at 34.6% and as you can see from the highlights, he’s fearless in the face of adversity. He has a little leg kick out that will cost him some offensive fouls when the refs are calling it tight. But rest assured, he’ll get some of those calls. Slam dunks? He’s got the poster shots aplenty in this highlight reel. Again, how that will translate in the NBA will take some adjusting. But if he starts with garbage time and some trips to Austin, he’ll find his footing. Truth be told, he needs to be paired soon with the teammate who will feed him those alley-oops so that they can be ready to hit the floor. So much of what Lonnie Walker IV will become will spurn from his bonding with the team. He’s got speed and agility when handling the ball, keeping defenses on their toes. His shake-and-bake comes with a breakneck pace sure to trip the most sure-footed big men in the league. The pick-and-roll may be his introduction to the big league because when he cuts in these highlights, his drive is reminiscent of the young Tony Parker. 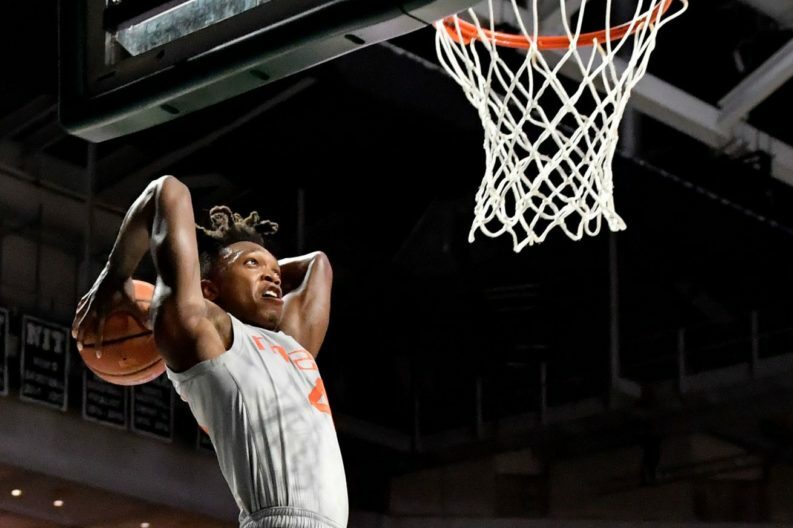 Keep your expectations high, because Lonnie Walker IV is destined to come through. Been a while since I’ve said it, so Go Spurs GO!